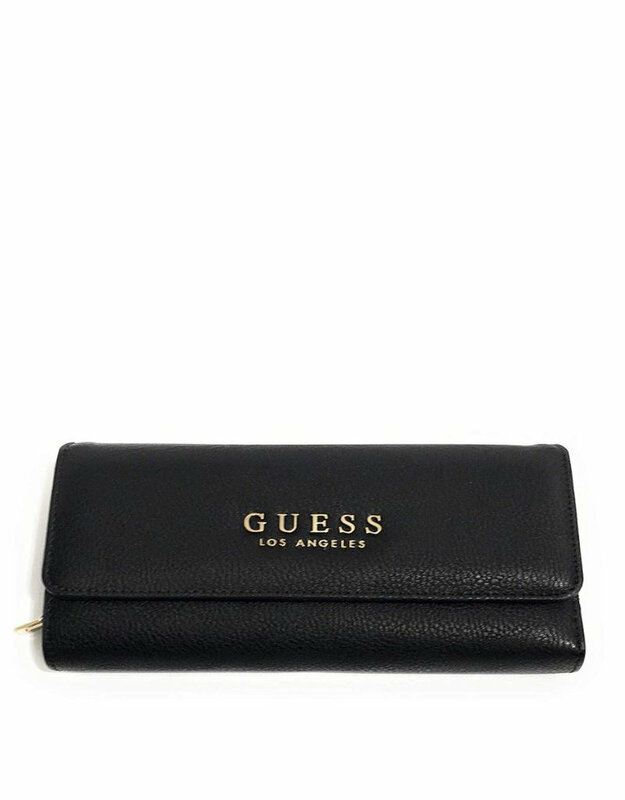 Guess Cary Clutch Organizer. 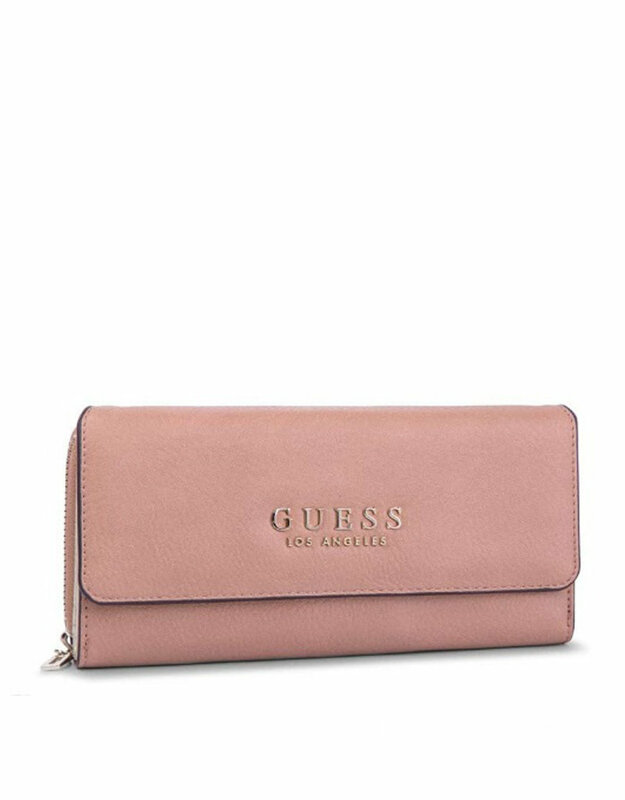 This wallet from Guess is the perfect addition for any accessory collection. 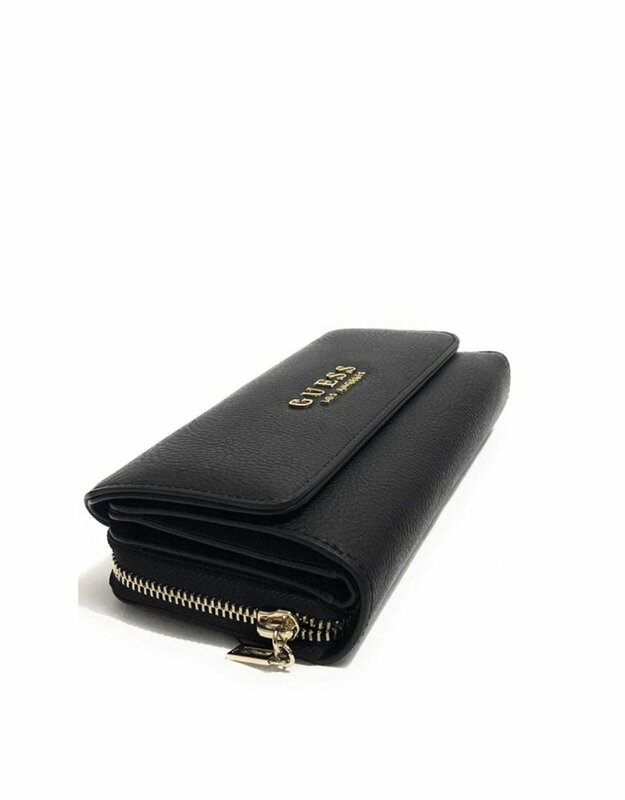 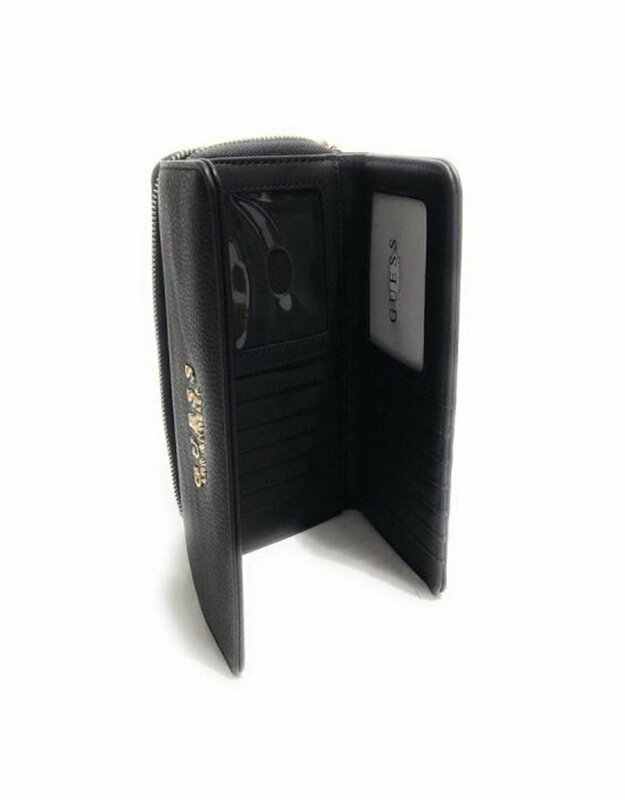 Features include a compartment on the inside with multiple credit card slots, an external coin purse with zip, multiple card slots and smaller coin purse with a snap button closure to the front. 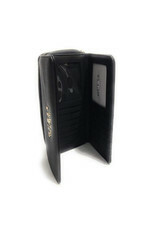 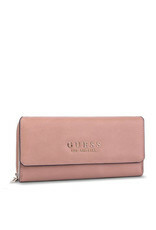 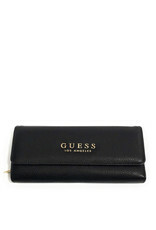 Signature Guess logo finishes this trendy wallet.